As a regular hair bleacher, I know the importance of keeping those blonde strands hydrated and free of any more damage. Especially as winter approaches and the use of central heating becomes increasingly overused. The dry air plays a massive part in the appearance of our hair and skin texture, as well as the wind and other environmental factors. So here are the steps that I like to take to ensure my hair looks healthy, hydrated and frizz free during the cold winter months. Something I need to practise what I preach, but it makes such a difference to the overall look and feel of my hair if I keep the ends sharp and frizz free. Regular hair cuts also make your hair look super healthy and also promotes hair growth. Sounds so good, just a pain to keep up with. I use these in replacement to my normal conditioner every-time I wash my hair, they’re richer, full of hydration and much needed strengthening protein my hair so desperately needs. 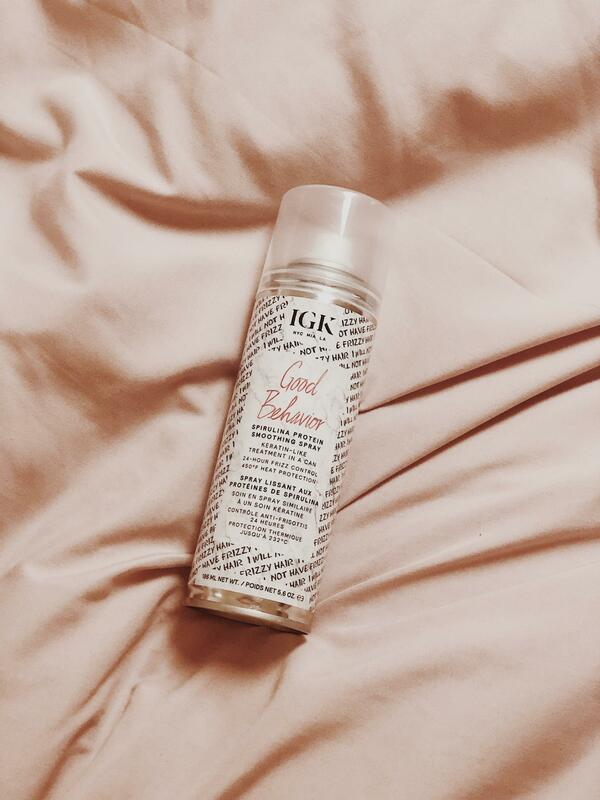 The one I currently have in my rotation is IGK’s Expensive Topcoat* – a conditioner-mask-gloss hybrid. 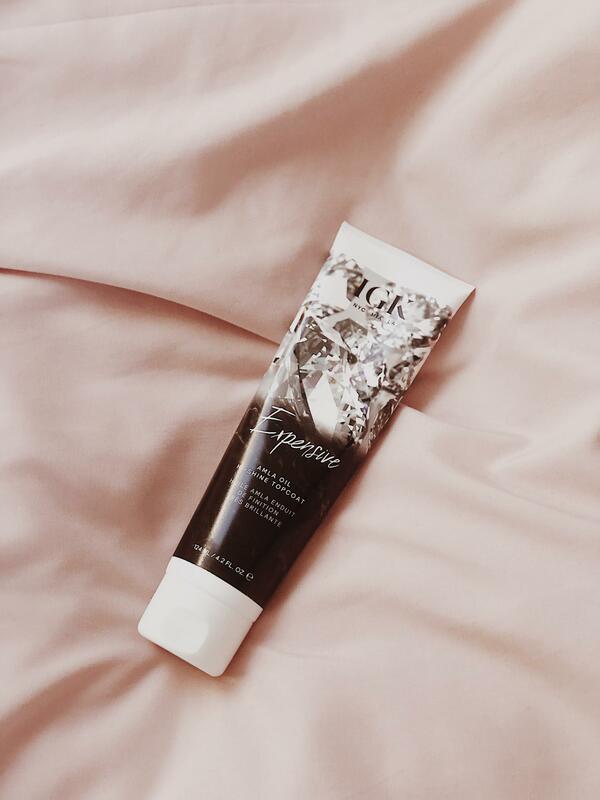 It gives an insane amount of shine to the hair, with a mix of ingredients including Indian gooseberry, or Amla oil which nourishes, strengthens and softens the hair, Sea-Kelp extract which adds the shine whilst preventing damage from external aggressors. Theres also Sunflower seed oil and Glycerin in the mix too for added hydration and frizz control. To keep the shine and control the frizz, Expensive also seals the cuticle to prevent colour fading and damage from heat tools. It’s to be used one to two times per week in place of your conditioner, as it has Dimethicone as the second ingredient, after water. Dimethicone has a reputation within the beauty industry for increasing build up and for weighing down the hair, however I’ve been using this every-time I wash my hair (one to two times per week) and i’ve had no build up to report back. The whole IGK range, as I’ve mentioned in previous posts, are colour safe with UV protection, vegan, cruelty-free and formulated without mineral oil, petroleum and gluten. They’re expensive and downtime can be an issue for some. However IGK have amazingly come up with the perfect solution. Good Behaviour* is a Spirulina Protein Smoothing Spray. Spirulina protein is a plant-based protein thats rich in amino acids, vitamins, minerals and biotin to help strengthen and nourish the hair. The innovative formaldehyde free bonding formula mimics a keratin treatment when activated by heat. With added heat protection of up to 450*F.
I use Good Behaviour on damp hair, making sure all the stands are coated from root to tip. Blow-dry your hair in sections to seal in the treatment with heat, I take my time with this bit, making sure all the hair cuticles are sealed and smooth. I always straighten my hair and this just maximises the smoothing treatment. Good Behavior also helps to cut down blow-drying time and helps to protect against humidity, heat and UV damage, leaving hair soft, shiny and frizz-free. To keep my hair in perfect condition I like to use styling products that are free from silicones. 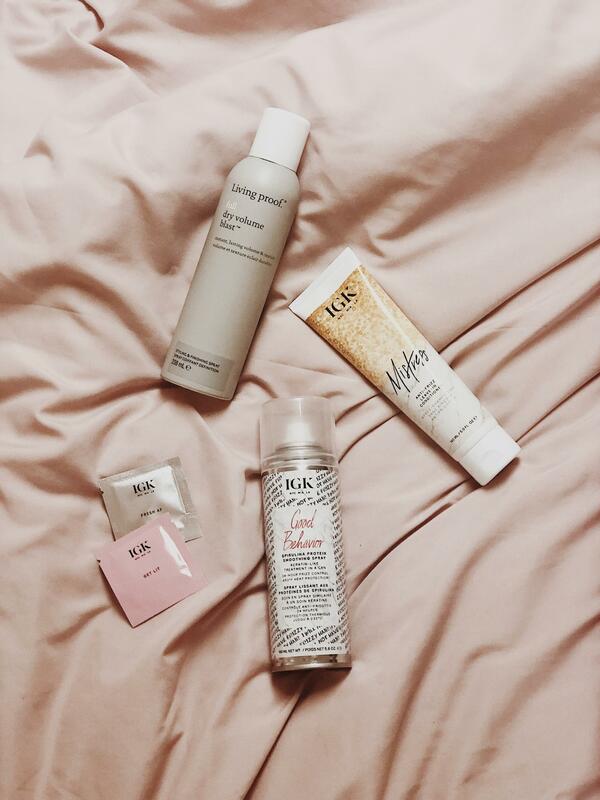 I love pretty much all of the styling products from IGK, Direct Flight dry shampoo and Intern Hairspray are my go-tos. However more recently I’ve been using Living Proof Full Dry Volume blast spray* and it smells INCREDIBLE! 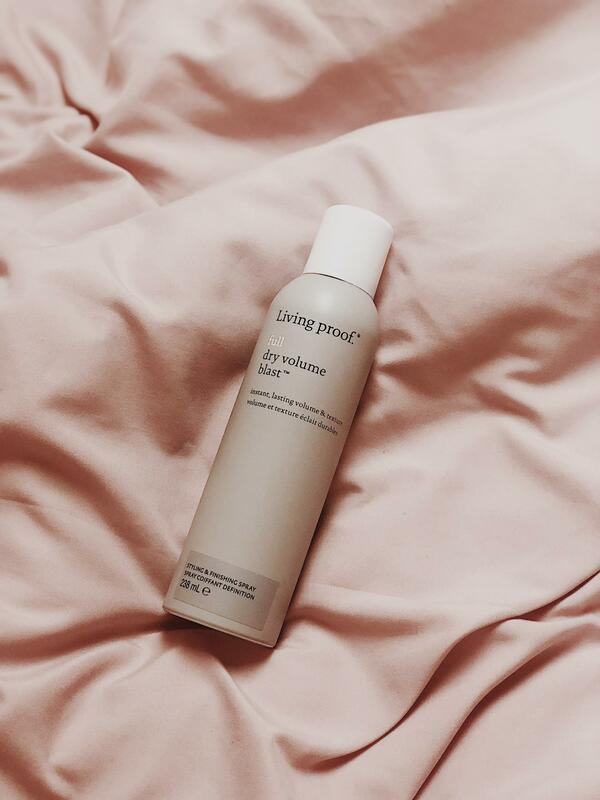 The dry volume blast is powdered by Living Proof’s very own volumising and texturising molecule (ETAS) which delivers volume and texture without weighing it down. I’ve found since using it that it has no crunchiness and it super lightweight in the hair whilst holding my style. It’s also safe and formulated for colour and chemically treated hair, win. I just need this in a travel size now. What are your current winter haircare faves?